The Landini 6L Series is the new replacement for the Landpower. 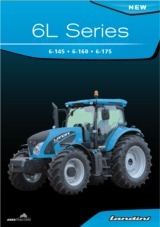 The Landini 6L Series differs from its bigger brother; the 7 T4i, with a shorter wheelbase and self-supporting engine. The biggest model; 6-175 is equipped with the Dual Power system to provide extra power for road and PTO applications. Designed to replace the Landpower series with a single, more versatile range, the new range revolutionizes Landini’s low-power and medium-power segment. The ZF Roboshift transmission provides 24 speeds in six ranges with four on-the-go powershifts, all controlled by a multi-function joystick on the drivers armrest. 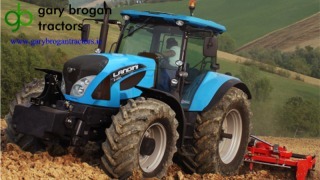 The Landini 6L Series includes the 6-145, 6-160 and 6-175 tractor models.